Stay one night in the sky! 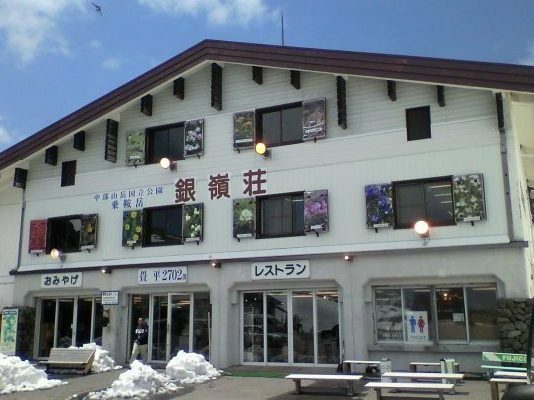 Ginreisou is a hotel which is located at 2702 m above sea level. Enjoy starry sky, morning sunrise, mountain climbing and hiking in Norikura. ※Reservation can be made 7 days in advance. Pick up the ticket at Takayama Bus Terminal with the reference number before boarding bus. Please take the Shinhotaka Line at Gate 5. The bus departs every an hour at 40 past. Click here for bus schedule for Shinhoraka Line. ＊Please change buses at Honokidaira bus stop. 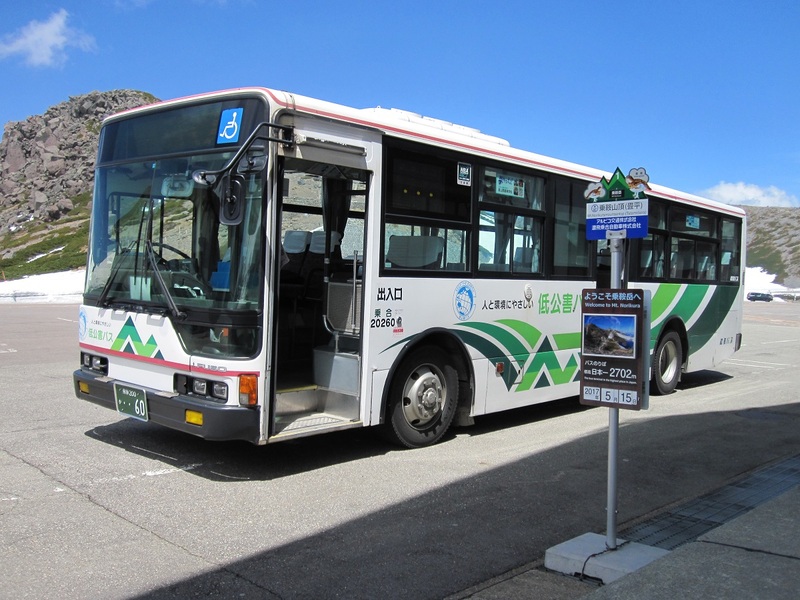 Please change buses for Norikura Tatamidaira at Honokidaira bus stop. 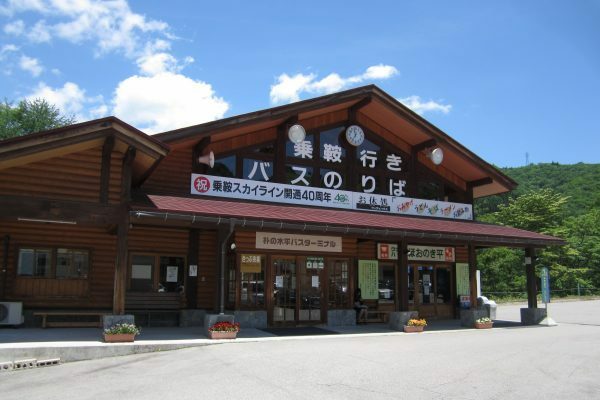 Click here for bus schedule to Norikura Tatamidaira. 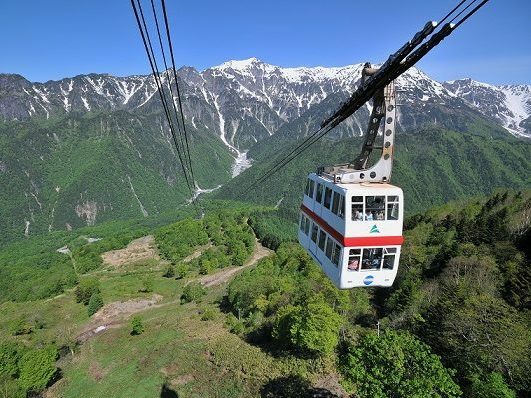 The highest road ‘Norikura Skyline offers scenic views of the surrounding natural beauty. 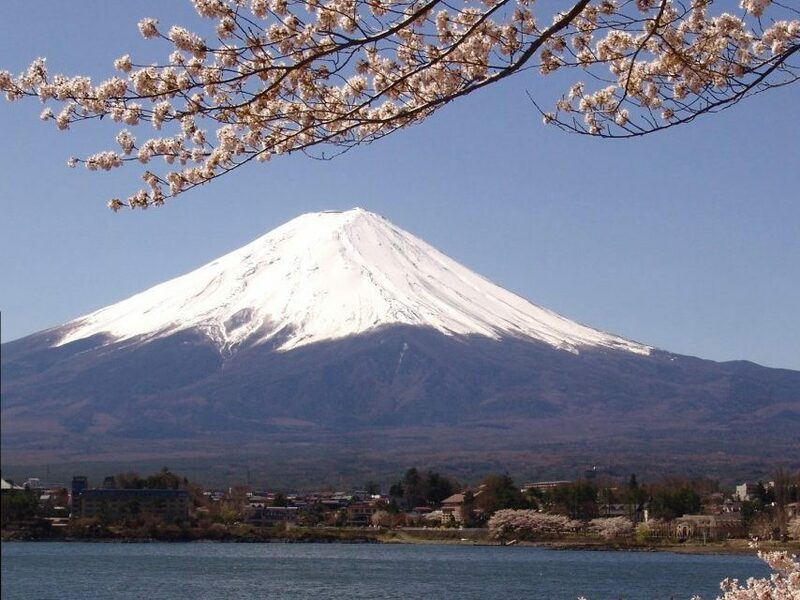 You will see Japan Northern Alps of Mt. Yari, Mt. Hotaka and Mt. Yari from the bus. Ginreisou is just located by the Norikura Bus Terminal. 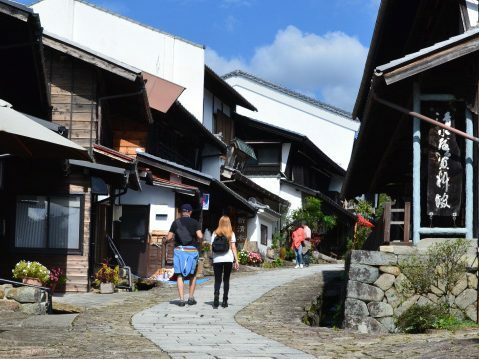 It’s free to explore and relax in Norikura after checking-in. 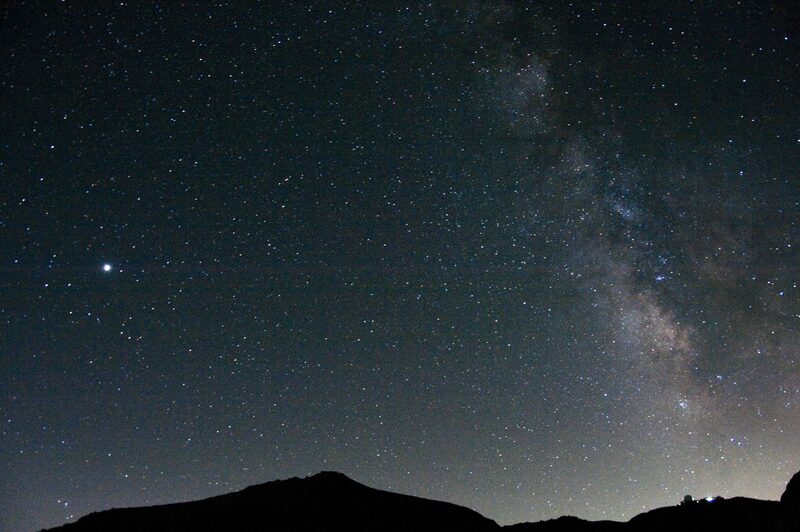 You can observe the twinkling star-filled night sky, from the altitude of 2,702 m.
With no light or sound around, you can immerse yourself in your own world to spend your time in romantic ambiance. 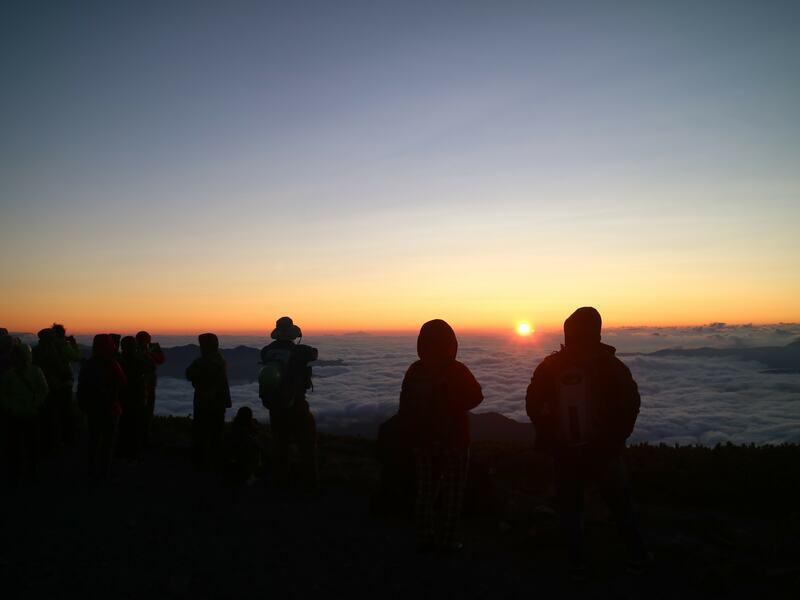 you can enjoy the impressive rising sun that emerges above the sea of clouds at the mountaintop. Experience the breathtaking landscape and mystic world, viewing from an altitude of 2,702 meters. 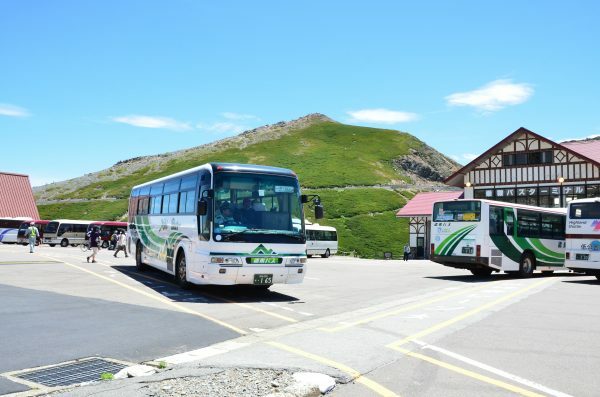 It’s free to explore and relax in Norikura until taking a return bus. During Mt. 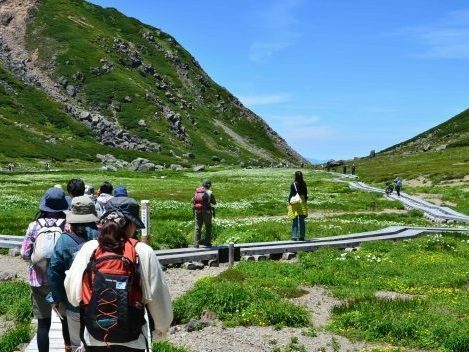 Norikuradake’s short summer, from mid-July to mid-August, the alpine plants will be in full bloom all around the flower gardens. 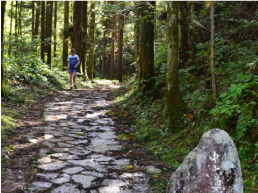 As the wooden hiking trail makes walking easier, everyone can enjoy hiking. Please talk a bus at Norikura Tatamidaira Bus Terminal going back to Honokidaira. ※If you are not able to see the stars, we do not refund.